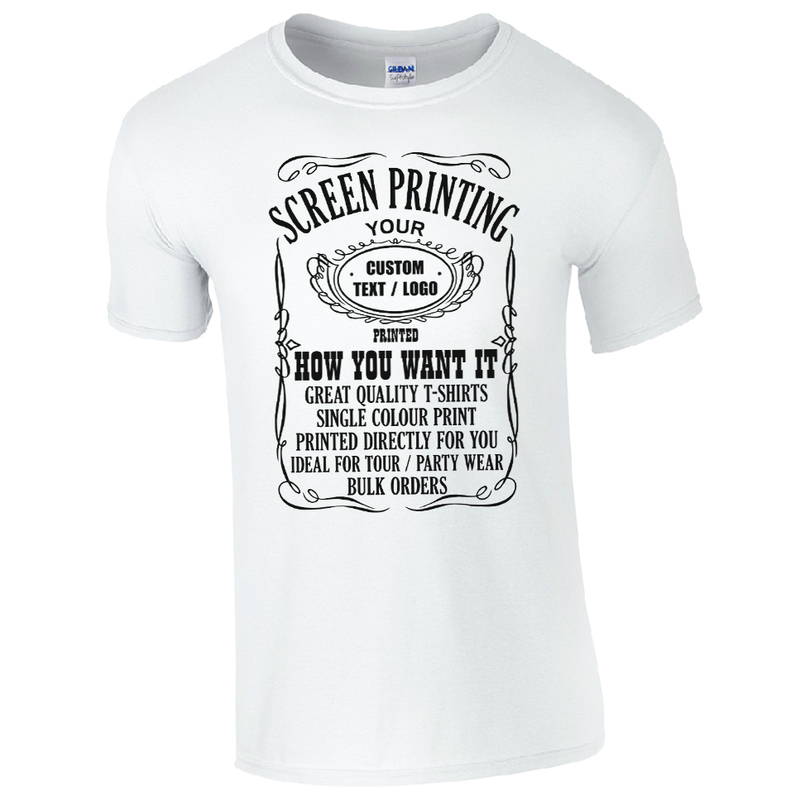 The most common and the oldest process in which T-shirts printing would be done. Positives must be prepared, silk screens must be manufactured and these silk screens then get set up. This is a lengthy and time consuming process and therefore more expensive on lower quantities, but cheaper on high volume printing. The minimum amount of shirts printed with this process is 20 if the print consists of 1 or 2 different colours in the design, 50 shirts if the design consists of 3 or more colours. A big advantage of silk screen T-shirt printing is that the ink penetrates in to the material and thereafter goes through a heat process. This printing method lasts even longer than what the shirt itself will last. The ink pushed through a screen. When requesting a quotation on screen printing we will require the following information from you to quote accurately. 1. The amount of items that will be printed. 2. The size of the design. 3. Will the artwork will be supplied in a print ready (editable vector) format to us. 4. The amount of colours that the design consists of that will be printed.